Superdry women's acid wash shirt. This shirt features twin chest pockets, button fastened cuffs and a button down fastening. Finished with a metal Superdry logo badge above one pocket and a Superdry logo tab on the hem. 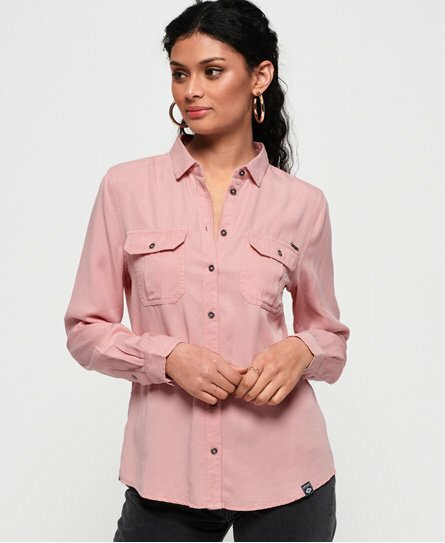 Simple and so chic, this shirt is a must have for your wardrobe this season.